The Chemical Engineering Division was one of the divisions that played a central role in expanding our non-insulators business. We had searched for a variety of new businesses through close collaboration between sales and technology. 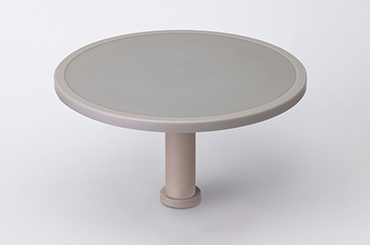 One of those businesses is ceramics for semiconductor manufacturing equipment, which subsequently enjoyed major growth as a high-performance ceramics (HPC) business. 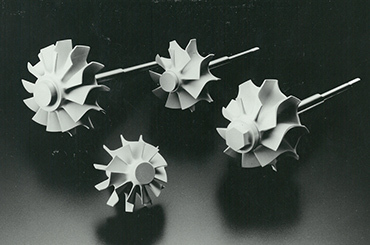 Since the 1960s, NGK has pushed forward with the development of a non-insulator business in order to achieve its 6:4 Plan, and the Chemical Engineering Division (now the Industrial Process Division) was one of the divisions that played a central role. Since its inception, that division has been committed to developing products in new fields, and the drive to understand market needs and uncover new business opportunities has been focused on sales activities. Unlike our other areas of business, the Chemical Engineering Division was involved with a wide and diverse range of industries, so this division was deemed to be the most suitable for pursuing new businesses. Sales identifies needs; technology matches NGK technology to those needs, and proposes specific solutions to customers. We’ve attempted to explore the possibilities for commercialization by harnessing this “technology and sales” potential to come up with new ideas and identify needs. NGK’s diverse ceramic material technologies, such as partially stabilized zirconia (PSZ) and silicon carbide (SiC), have been a major advantage in the development of new businesses. We’ve been working to develop practical applications in such fields as food products, waste disposal, and recycling. 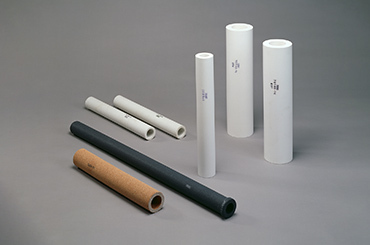 The fruit of those efforts includes ceramic filters for beer production, to give one example. One target of this search for market needs has been the semiconductor manufacturing equipment field. The Ceramic Turbocharger Rotor is a high-strength engine component that can withstand harsh operating conditions yet is made from ceramics, a material that was often thought to be fragile. That technology was subsequently applied in full to the development of ceramics for semiconductor manufacturing equipment. 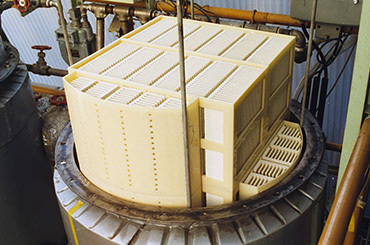 Our search in the semiconductor field turned up the need among Japanese semiconductor manufacturing equipment manufacturers for ceramic heaters to heat semiconductor wafers, but our products didn’t meet the requirements for corrosion resistance, and even with a change in materials, the usage applications for which our products were adopted were limited, so we didn’t foresee a major increase in volume. NGK visited the world’s largest semiconductor manufacturing equipment manufacturers in the USA to promote its products. 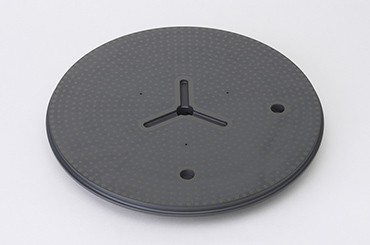 As a result, we had a good feeling about ceramics components for thin film forming apparatuses (CVDs). These components need corrosion resistance against gas, so NGK’s materials received some attention. NGK discovered the potential for commercialization in this area. 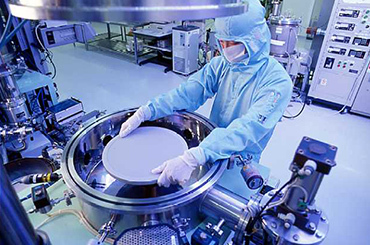 In November 1994, it announced the development of ceramic component materials for semiconductor manufacturing equipment and worked toward bringing products to market the following year. An initiative called the H Project got underway in 1995. We expanded our mass production facilities, and we began producing heaters with shafts and electrostatic chucks in 1997. The circumstances behind this development involved the economic boom in Internet-related industries centered in the United States, later known as the dot-com bubble, in addition to the continuously expanding worldwide semiconductor market. We set up new production lines at the Komaki Site in addition to our Chita Site in August 2000, and by strengthening our production capacity, were then able to sufficiently handle increasing demand from our clients. In January 2002, we acquired the management rights to FM INDUSTRIES, INC. (FMI), a module manufacturer for semiconductor manufacturing equipment in the United States, and we made the transition from a component manufacturer to a comprehensive module manufacturer. 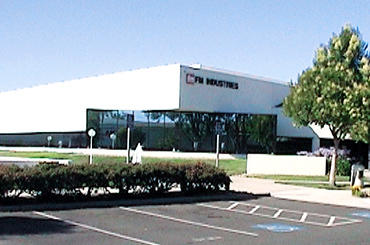 FMI acquired the business operations of LJ Engineering & Manufacturing, Inc. (LJ) in May 2010, and it purchased the Thermal Spraying Division of Praxair Surface Technologies, Inc. (PST), which targeted the semiconductor industry, in February 2012. This positioned FMI as an important manufacturer of chamber materials for semiconductor manufacturing equipment manufacturers in the US and resulted in significant growth to its business. The HPC business, which handles products for semiconductor manufacturing equipment, has continued to grow since then, and NGK has been constructing a new Plant in Tajimi, Gifu Prefecture, with the goal of beginning production in October 2019. The HPC business is one of the mainstays supporting NGK. One of the factors that has made this business possible is the knowledge related to ceramic materials and the manufacturing technology developed since our company’s founding. Manufacturing is at the heart of the electronics industry as well. A second factor is our motivation, bordering on obsession, to develop new businesses. We probably would not have commercialized ceramics for semiconductor manufacturing equipment if we had not been willing to take on new challenges through collaboration between sales and technology with the goal of achieving the 6:4 Plan, an NGK objective. One more factor that cannot be forgotten is NGK’s patent strategy. By utilizing the zirconia-related patents owned by NGK and signing cross-licensing agreements with Japanese ceramics manufacturers, we have been able to bring new products to market, and our continuous filing of patents has led to an overwhelming market share. This intellectual property strategy is also one of the factors that has led to success in the HPC business.